1. 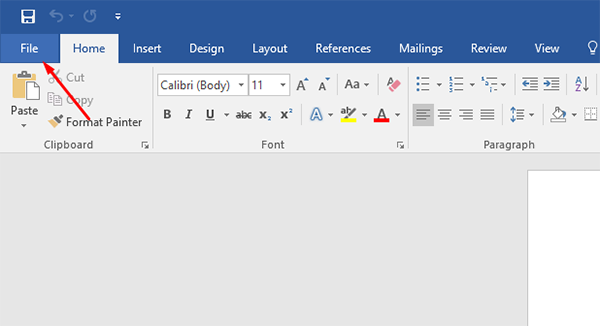 Open your office program (we are using word 2016, but the steps are mostly the same on the others as well) and click on File. 3. 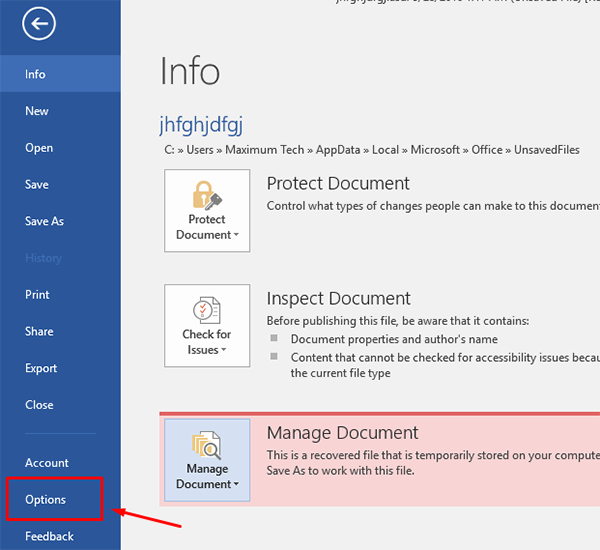 On the Info page, click on Manage Document and then on the drop-down menu, choose Recover Unsaved Documents. (In here you can also delete the unsaved files, the automatically saved files from the program itself). 4. 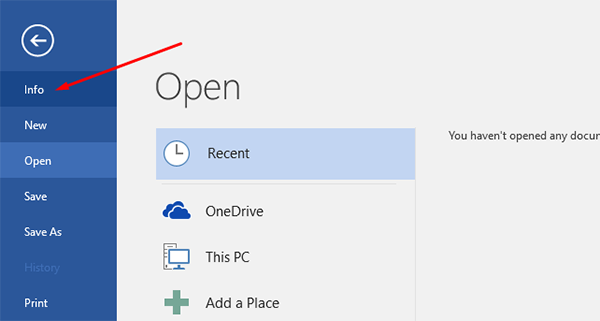 Then find your document that you forgot to save, open it and save it to a destination that you can easily find. You can change the settings of the unsaved files as well, such as where the files are stored, turn off auto-saving etc. 1. Go back to the File Menu and click on Options. 2. Here you can find and adjust the settings for your needs, you can change the saving interval from 1 to 120 min and other stuff so change everything you need and click Ok to save the settings.